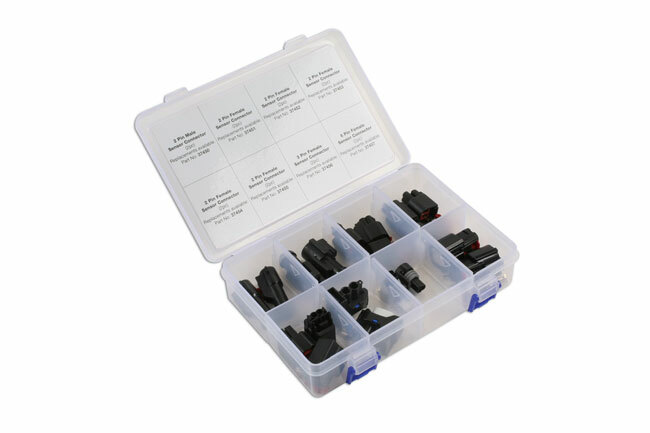 Kit contains 6 types of 2 pin connectors, 1 x 3 pin connector & 1 x 6 pin connector. 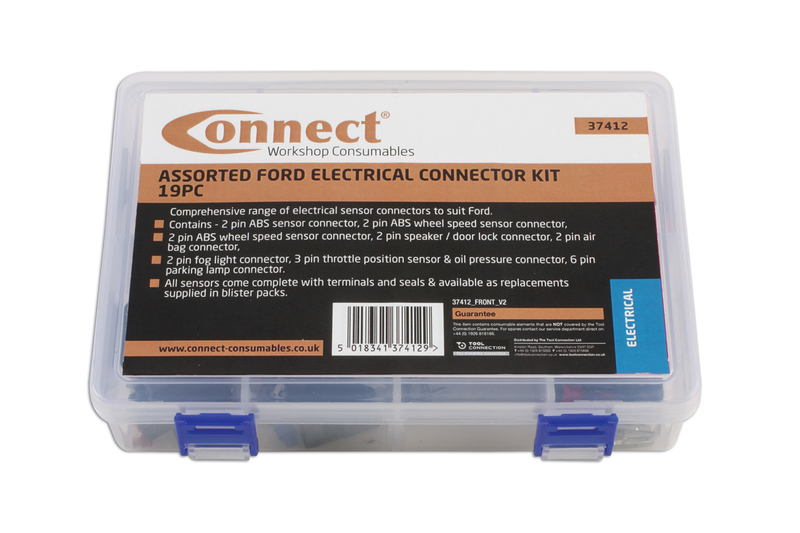 Each connector comes complete with the correct number of non-insulated terminals and weatherproof seals where applicable to create a waterproof seal. 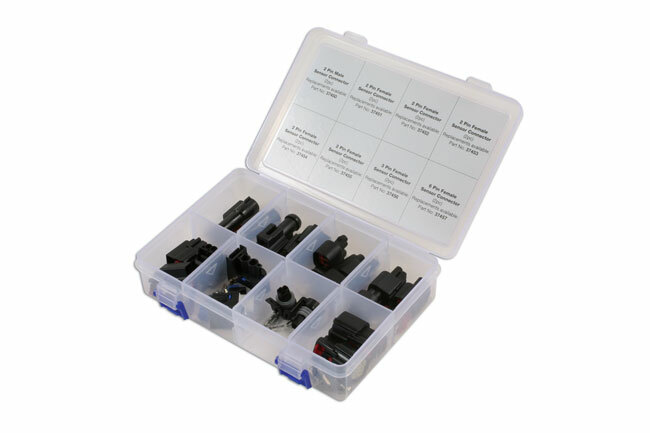 Sensors can be used in area of the vehicle. Mainly used in the engine bay to protect circuits and important sensors for the engine management system. 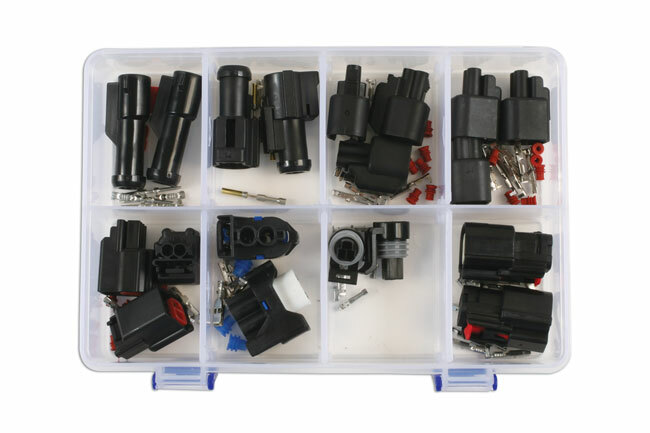 2 pin fog light connector, 3 pin throttle position sensor & oil pressure connector, 6 pin parking lamp connector.